Esteemed music institution Jazz at Lincoln Center (JALC), based in New York City and developed by Wynton Marsalis, will provide Australian music educators, musicians and aspiring teachers with an opportunity to learn from icons Reggie Thomas and Vincent Gardner. The full-day Essentially Ellington workshops will travel to Brisbane, Perth, Melbourne and Sydney in early August thanks to Brisbane’s renowned Jazz Music Institute (JMI). Vincent Gardner has performed with The Count Basie Orchestra, The Duke Ellington Orchestra and others while enrolled in school, the trombonist says he is extremely grateful he had the opportunity to work with legendary musicians at the end of their careers. Those skills and relationships provided a different perspective to his craft than what he could learn in a class setting. Gardner shares those lessons with his students at Wynton Marsalis’ Jazz at Lincoln Center’s Swing University. Reginald “Reggie” Thomas co-authored on the important jazz teachers’ resource Teaching Music through Performance in Jazz with Wynton Marsalis and others. 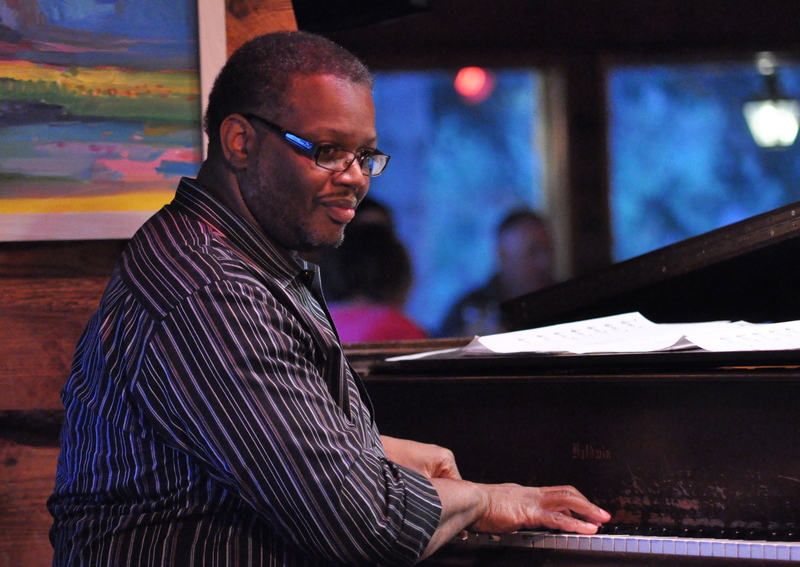 He succeeded Ronald Carter as Coordinator of the internationally recognized Northern Illinois University School of Music’s Jazz Studies program and has also been a consultant/clinician for Jazz at Lincoln Center for the past decade. Reggie is the regularly preferred pianist for a multitude of celebrated musicians. Reggie elaborates “JALC has presented workshops and residencies for 19+ years, filling in gaps that traditional music education programs don’t cover. The music of Duke Ellington, one of America’s greatest composers, offers us the opportunity to learn directly from source material. Nothing is watered down and we get to take advantage of learning from those that created and defined this music we call jazz! ‘A Cultural Approach to Teaching Jazz’ refers to using approaches passed down by jazz masters throughout the development of the music. We will also discuss approaches to creating a culture of jazz in your rehearsal rooms. We will explore concepts to help create a non-threatening environment for beginning students to explore jazz improvisation. These approaches will involve setting parameters, singing, articulating and creating melodies that swing while reflecting the harmony. We will also discuss the importance of selecting repertoire that inherently teaches the concepts we want our students to learn from the music. If we want our students to swing, we must equip them with music that inherently swings! The repertoire that we choose is the curriculum for what we teach! Finally, we will help you explore methods of getting your rhythm sections to groove together and understand its vital role in the jazz ensemble”. Utilizing listening, demonstration, discussion and practical application, attendees gain insight into transferring relevant techniques to their band room. In Essentially Ellington’s rich 19-year history, JALC has distributed more than 120,000 charts to more than 4,200 schools, reaching over 504,000 students.